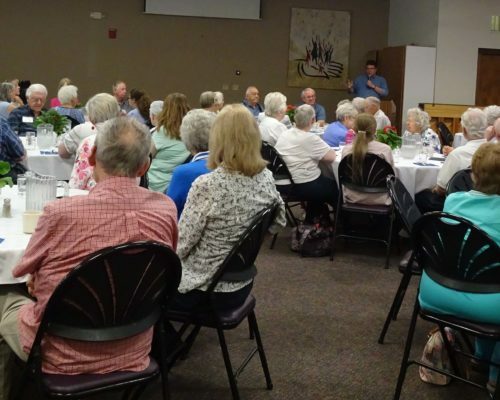 We welcome all older adults (55+) to join us on the second Wednesday of each month at noon in Peterson Hall at the Madison Campus for a potluck and presentation. Our time together is about food, fellowship, fun, learning, and serving. Lynne Kroger at 271-6633 x 1080 or lkroger@gslcwi.com. worship service, participate in service, return residents to room or dining room. Pew Cleaning—3 times per year. Months of April, July, and October. Volunteer a couple of hours to pick up litter from designated highway. Volunteer for transportation, housekeeping, meal prep, and respite. Volunteers need to be available during the daytime. Receive training to volunteer during the day or evening. Tour Channel 15 at 1:30 pm, lead by Amy Haskins.